"Small, literally in a basement, launched on Kickstarter by a man with a vision and a passion," said Shon Anderson, CEO of B9 Creations. 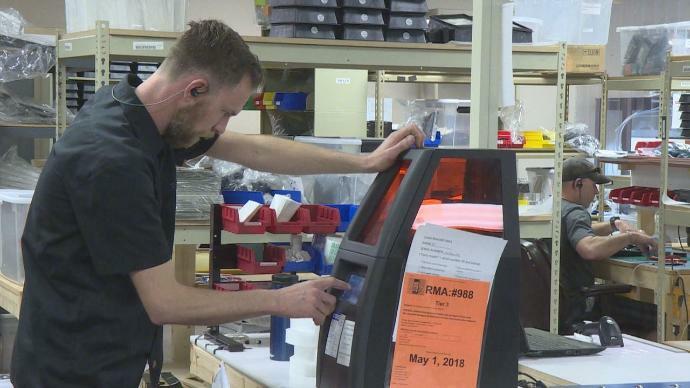 Six years later, B9Creations is now one of the leading 3-D manufacturers in the area. Designing it's B9 Core Series of personal three-dimensional printers just last year, their products enable companies to print products at a dashing speed with high resolution on a global scale including jewelry, medical devices, and prototypes." Read more at Black Hills Fox.